The Frankfurt Book Fair took place from October 10th to 14th and counted on the participation of 27 national publishing houses, which participated in the event with the support of the Brazilian Publishers – an industry project to promote exports of Brazilian editorial content carried out through a partnership between Brazilian Book Chamber (CBL) and the Brazilian Trade and Investment Promotion Agency (Apex-Brasil). During the event, more than 500 meetings were held that generated US$ 700 thousand in expectation of business closed and estimated for the next 12 months. “Last year, US$ 680,000 were generated in business expectations. In 2018, this value increased and this only shows that the export actions of the Brazilian editorial content that we produce generate results for the publishing houses that are part of Brazilian Publishers and for the whole market, since Brazilian literature is reaching readers from other countries”, said Luiz Alvaro Salles Aguiar de Menezes, International Affairs Manager of the Brazilian Book Chamber and Manager of Brazilian Publishers. The meetings were held with professionals from various countries, such as South Africa, Germany, Argentina, Belgium, Colombia, South Korea, Croatia, Egypt, United States, France, Greece, and Portugal, among others. Besides the publishing houses, the event also counted on the participation of three Brazilian authors: João Paulo Cuenca, author of “O Dia Mastroianni” (The Mastroianni Day) (2007) and “O Único Final Feliz Para Uma História de Amor É Um Acidente” (The Only Happy Ending for a Love Story is an Accident) (2010); Bianca Santana, of “Quando Me Descobri Negra” (When I Found Myself Black) (2015); and Geovani Martins, of “O Sol Na Cabeça” (The Sun on the Head) (2018). During the event, Geovani announced that he has sold the rights to “O Sol Na Cabeça” (The Sun on the Head) to RT Features producer, which will start producing a film based on his book already in 2019. Brazil was also selected for the Frankfurt Fellowship program, which received applications from 105 candidates from 42 countries. 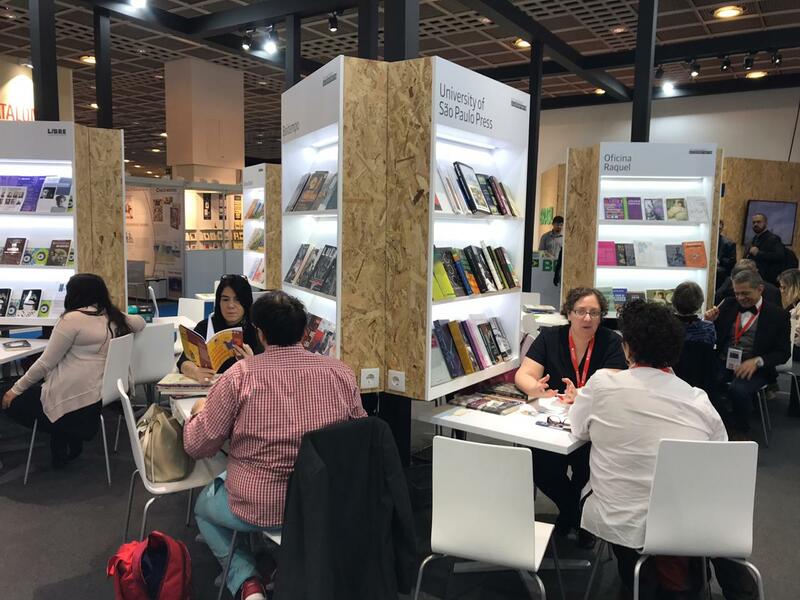 The Harper Collins’s Brazilian publisher, Alice Mello, met with professionals of the publishing market for information exchange, business rounds, and networking. For two weeks, the participants visited several German publishing houses and bookstores, had meetings with players and visited the Frankfurt Book Fair.